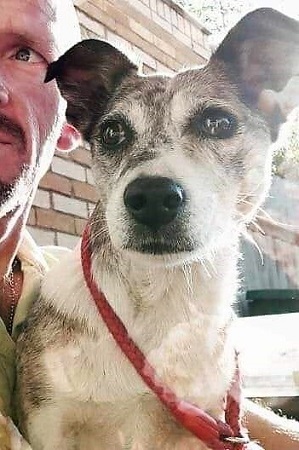 10/12/2018 Beautiful Rita is just too good to let go and is now in permanent foster care. Please meet beautiful girl Rita, a small to medium-sized social butterfly who adores people. 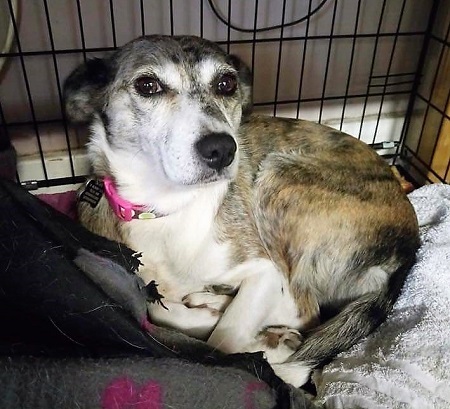 She is looking for a chilled out life with the help of Pawprints to Freedom and is living in a foster home in Edlesborough, Buckinghamshire, until she goes to her forever home. Rita is a very cuddly, gentle, calm and quiet lady. 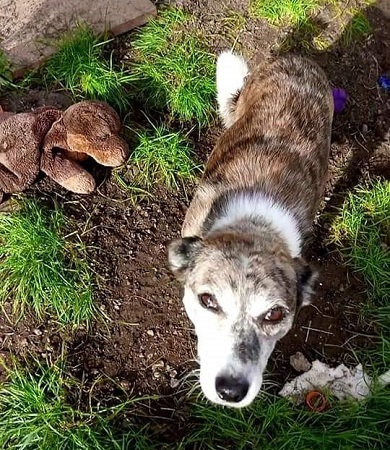 She needs an adult home or one with much older children (over 12 years at least). 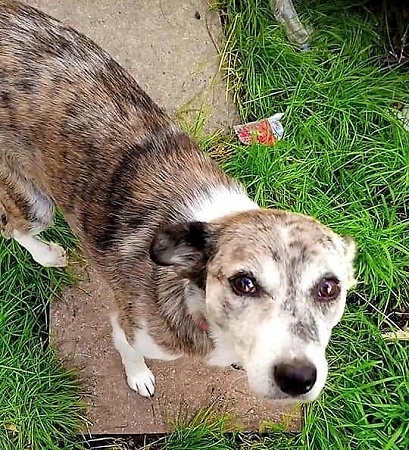 Rita can live with quiet, older dogs, but she is still scared to go on walks. However, she loves playing in the garden and is good off her lead. Rita is very happy to settle in her crate as it’s her safe place. She also loves her bed and have one all to herself. All she wants is a quiet life and would suit a lovely older couple. Rita has been spayed and she is in good health with no known medical conditions. 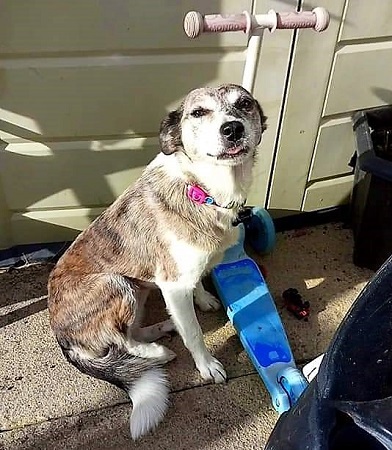 Please mention you saw Rita on the Oldies Club website.